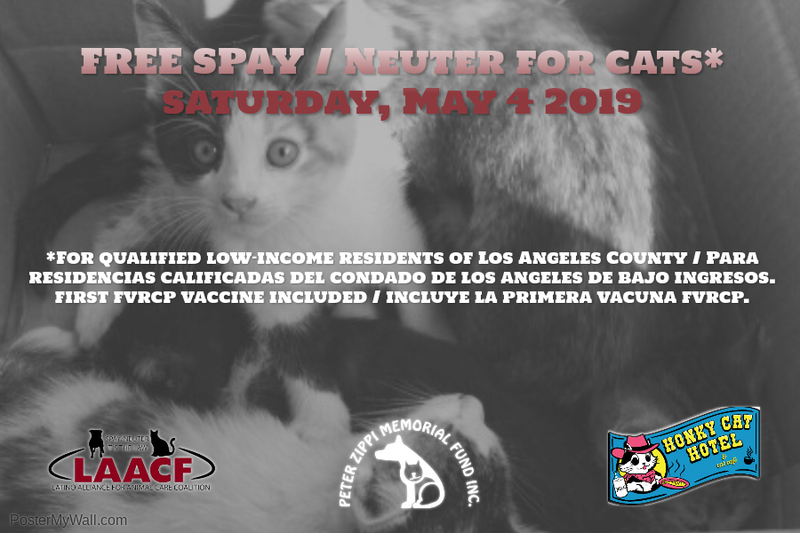 Free Spay/Neuter for Low Income Residents - Peter Zippi Memorial Fund, Inc.
RESERVATIONS REQUIRED Peter Zippi Memorial Fund Inc is sponsoring FREE spay / neuter for companion or “community” CATS of low income residents of Los Angeles County. 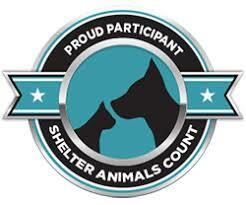 First FVRCP vaccination is also included. We are proud to partner with our friends at Latino Alliance for Animal Care Foundation and have a limited number of appointments available for Saturday, May 4th at Honky Cat Hotel & Cat Cafe in Gardena. Request your appointment today! Call 818-493-9078 or email infolaacf@gmail.com. Please reference “Gardena Clinic” when requesting your appointment..